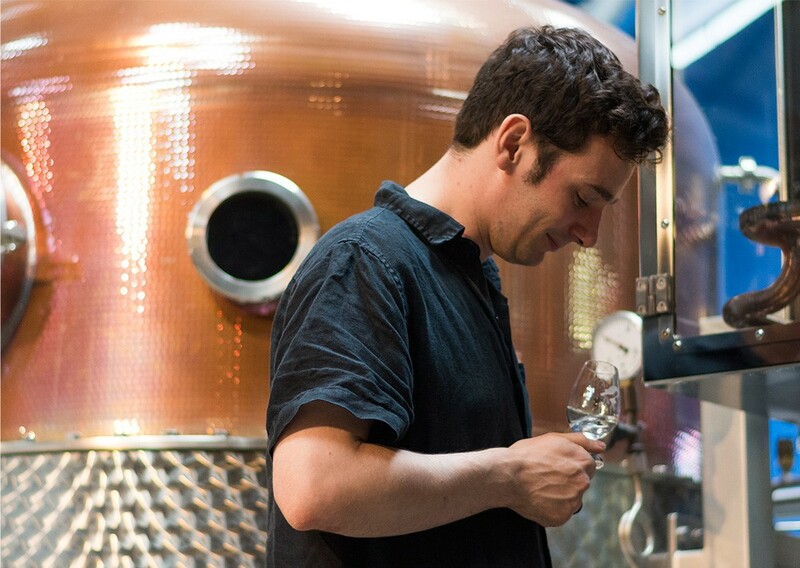 We make our spirits by hand in genuinely small batches with our team of dedicated Distillers – Jared, Ollie and Kit watching over every drop of every batch. We passionately believe this is the only way to handcraft spirits of this quality. Inspired by the two hundred years of London distilling history we have inherited, we balance modern technology with traditional recipes and techniques. 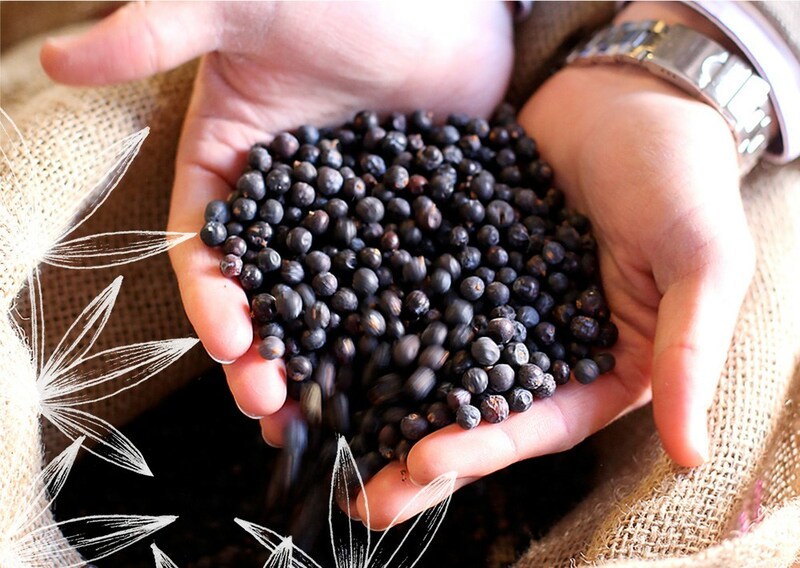 Our botanicals are carefully sourced from all over the globe – choosing only the very best quality ingredients. Our recipe was inspired by one found by our Master Distiller Jared in an eighteenth century book called The Art of Distilling. Each day, we add precisely the amount needed to make one batch of gin to each still – never adding more to create a gin concentrate. Our carefully crafted recipe of botanicals are added to the stills the evening before to allow them to macerate over night and imbue the ‘alcoholic wash’ with flavour. They typically macerate for around 14 hours but can be as long as three days in the case of our V.J.O.P. It is a labour of love, with so much passion, care and attention invested in every drop. 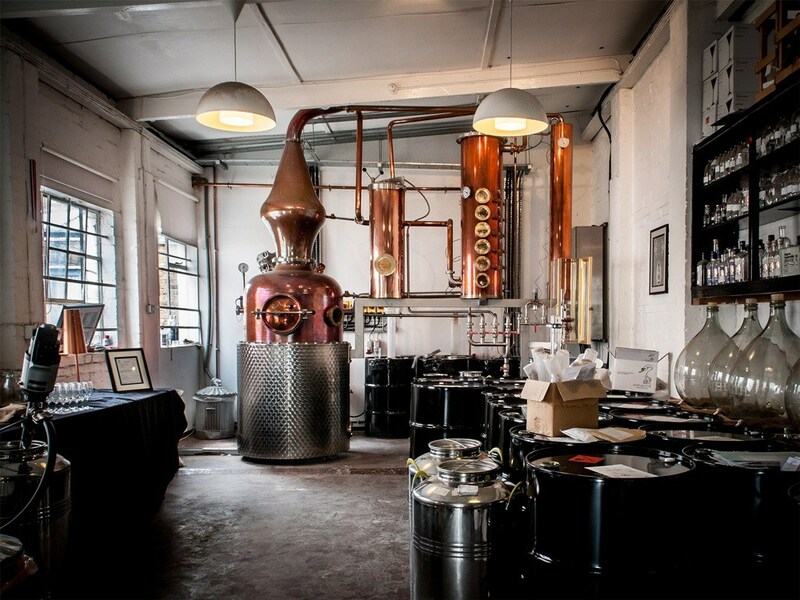 Our stills are switched on each morning around 8am and the process of distillation begins. The stills heat up to 80* allowing the alcohol, which boils at 78.3* to turn into vapour, but leave the liquid water behind. 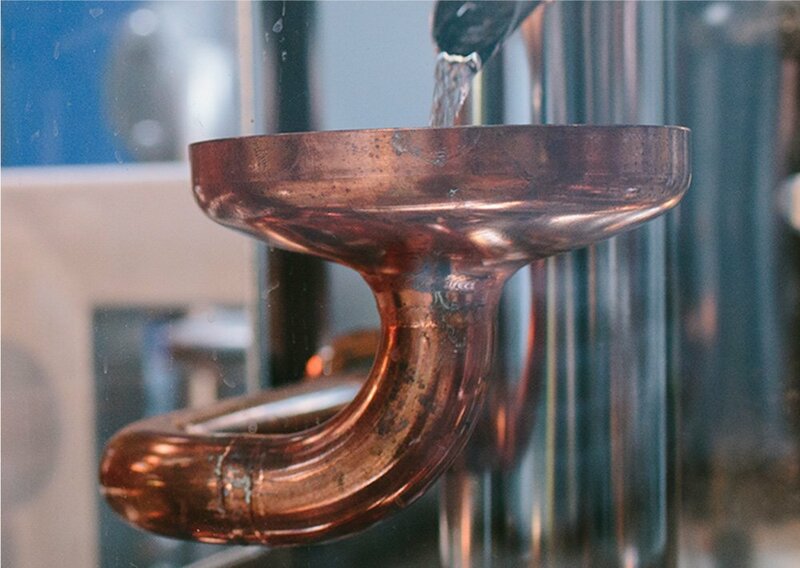 As the vapour travels around the still it makes contact with the copper surfaces and condenses back into a liquid, each time becoming purer, soother and more sippable. Once it has completed its journey through the still our gin finally reaches the condenser, where it turns back into a liquid for the final time and runs off a pipe known as the ‘point of pleasure.’ The liquid comes in three distinct parts – the heads, the hearts and the tails. We take only the very best – the heart cut – which is then brought to bottling strength with the addition of pure water and is finally ready to be bottled and sipped.